Jack Daniel's is no doubt the most famous bourbon in the world. Some are even comparing Jack Daniel's to the "Coca Cola of whiskeys", due to its high availability pretty much every where in the world. 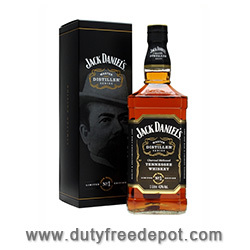 If you are into bourbon and want a straight great whiskey with unique flavor that lasts to the very last drop - you must put your hand on a bottle of Jack. Cheers!